Corpus Christi Carpet Cleaning Pros is the best choice for professional tile and grout cleaning in Port Aransas, TX! We do much more than our name suggests, and just one conversation with one of our helpful associates will confirm that you are in good hands with us! We have experience and training on our side, unlike other companies that may have one or the other. Our team is knowledgeable about all kinds of household surfaces, and they are more than willing to put that information to work for you! All you have to do is call or contact us via email to get started. When we first speak with you, we’ll ask questions about your home. We might want to know what type of tile you have or how old the tile and grout are. These things will give us a head start in choosing the right equipment, cleaning solutions, and techniques to restore your tile and grout to like-new conditions. We can remove stains from tile and grout, or we can do an all-over cleaning. Either way, we’ll take our time and make sure that the job is done to the best of our ability. You will be pleased with the results when you call Corpus Christi Carpet Cleaning Pros…we guarantee it! There are certain stereotypes surrounding house building and remodeling. Some of them hold true, but others are based in very little fact. One of those myths is that tile surfaces do not have to be maintained. You can simply install them and forget about it, and they’ll retain their original beauty indefinitely. Therefore, tile is often chosen when people don’t want to be bothered with constant cleaning. While it is true that tile is a durable flooring material, it has its limitations. Tile is indeed very strong and resilient when it comes to stains, dust and dirt. When compared to other flooring options such as carpet, you are definitely getting a surface that can stand up to spills and other messes. Tile flooring can last a very long time with the right care and maintenance. This means that you will need to sweep and mop your tile and grout often with professional-grade products and tools. It also requires an occasional deep cleaning by a professional company like Corpus Christi Carpet Cleaning Pros. You can’t trust your tile and grout to just anyone. It’s as important as the carpet or hardwood floors in your home. 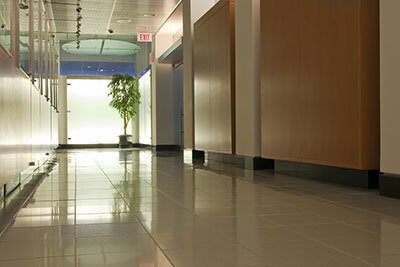 You need a company like ours, one that is trained and certified in the most modern tile and grout cleaning methods. With proper care, your tile can last for many years and still look brand new, but only if you give it the attention it needs. This includes your day-to-day care of the tile and grout, and the professional tile and grout cleanings that we recommend once every year in order to remove stubborn particles.